Ancient Living CAR DIFFUSER - SquareAncient living car diffusers are uniquely designed and the s..
Beautiful Diya shape burner with Lemon Grass Diffuser oil. .. Ancient Living Candle Vaporizer 1Reach altered states of consciousness with our Lead free Cerami.. Ancient Living Candle Vaporizer 2Reach altered states of consciousness with our Lead free Cerami.. Ancient Living CAR DIFFUSER - MickeyAncient living car diffusers are uniquely designed and the s..
Beautiful Finger shape burner to add to the ambience to your Home/Office .. SOIL Fragrances Ceramic BUDDHA AROMA BURNER Description: Beautiful Buddha shape aroma burne.. Ancient Living Aroma Big Ceramic Vaporizer (White)Ancient Living presents you the 3-in-1 el..
Clay Look burner to add to the ambience to your Home/Office .. Ancient Living Aroma Small Cone VaporizerAncient Living presents you the 3-in-1 electric vaporiz.. Ancient Living Aroma Big Ceramic Vaporizer (Blue)Ancient Living presents you the 3-in-1 ele..
Beautiful Electric Aroma diffuser to add a beauty & Fragrance to your ambience at Home/Office. A.. Ancient Living Aroma Wooden VaporizerAncient Living presents you the 3-in-1 electric vaporizer. .. Ancient Living Aroma BROWN CLAY VaporizerAncient Living presents you the 3-in-1 electric vaporiz.. Ancient Living Aroma BIG ROUND VaporizerAncient Living presents you the 3-in-1 electric vaporize..
Beautiful Electric Aroma diffuser to add beauty & Fragrance to your ambience at Home/Office. An .. Ancient Living Aroma BIG GLOBE VaporizerAncient Living presents you the 3-in-1 electric vaporize..
Trendy white color Round Aroma diffuser. 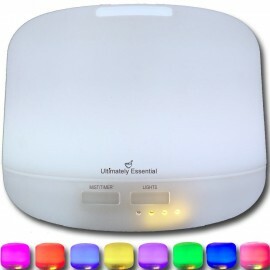 An electric Aromatherapy diffuser offers many benefits, con.. Ancient Living Aroma BIG GLOBE Vaporizer (with Stand)Ancient Living presents you the 3-in-1 elec.. Ancient Living Aroma GREEN CLAY VaporizerAncient Living presents you the 3-in-1 electric vaporiz.. Ancient Living Aroma BIG ROUND Vaporizer (with Stand)Ancient Living presents you the 3-in-1 elec..